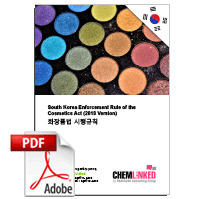 In South Korea, the cosmetic regulatory system is founded on the Cosmetic Act which is the overarching regulation for cosmetics. Supporting this act is a series of subordinate rules, standards and guidance documents. The original Cosmetic Act was issued on September 7 1999 and came into force on July 1 2000. Since this date the Ministry of Food and Drug Safety (MFDS), formerly Korean Food and Drug Administration, has amended the act 14 times. 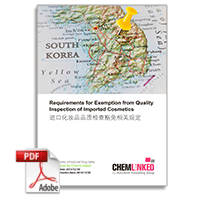 The newest revised version came into force on July 31 2014. 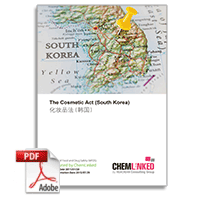 In South Korea, cosmetics are divided into two categories: general cosmetics and functional cosmetics. Functional cosmetics refer to products that aid in brightening skin, improving wrinkles in skin, tanning skin gently or protecting skin from sun’s ultraviolet radiation, are subject to more stringent evaluation than general cosmetics. 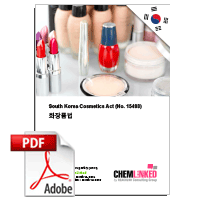 To conduct commercial operations in Korean, under the cosmetic regulation, an enterprise intending to manufacture cosmetics shall be registered as a “manufacturer" while an enterprise that intends to import cosmetics shall be registered as a “Marketing authorization holder". For general cosmetics, manufacturers or importers completing registration with MFDS are permitted to manufacture/import and market the cosmetic products but are subject to post-market supervision. 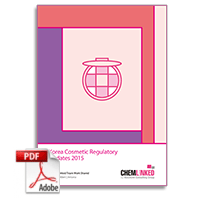 For functional cosmetics, both manufacturers and importers are required to undergo an evaluation on safety and efficacy of cosmetics and submit information necessary for such evaluation to MFDS. Only after getting approval are manufacturers and importers of functional cosmetics permitted to manufacture or import. Before marketing the products, manufacturers and importers need to get approval again. 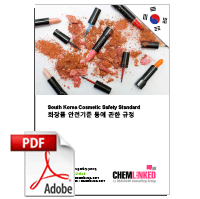 Originally, all ingredients introduced to Korea for the first time that have not been designated or publicly notified as cosmetic ingredients are required to undergo an evaluation before manufacture or importation, but now (excepting sunscreen agents, preservatives and colorants) new cosmetic ingredients can be used without any approvals from MFDS. In this case, manufacturers or importers are fully responsible for the safety. All labeling or advertisements that are likely to deceive or mislead consumers are prohibited.